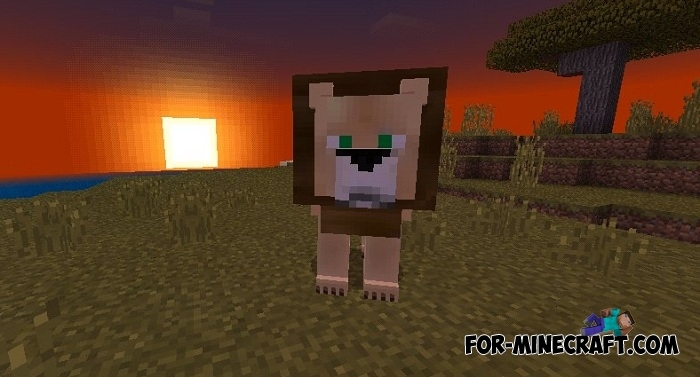 Lions are new animals that could be one of the features for the updated desert biome in Minecraft 1.8. Drawing attention to the available information and some rumors, lions are unlikely to appear in the next update, but still it is much more pleasant to play with new animals that have characteristics and exist in the real world. The behavior of the lions is not very different from the real, they are also dangerous for you and can pounce with large sharp fangs. There is a way to tame lions in the wild, but for this you need meat. Raw meat is great for lions and they become more obedient and less aggressive and after some time a wild lion or lion cub will turn into your pet that somehow resembles a tamed wolf. 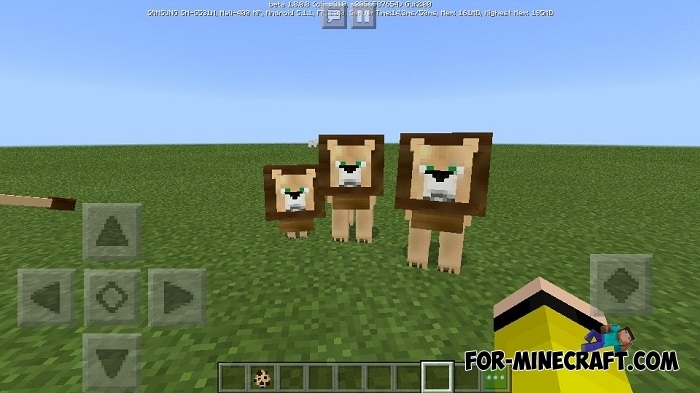 More animals are in this big Animals addon for Minecraft PE. How to install the Lions addon?